We love going to the movies, so we were really excited to head to the Charlotte Hotel in central London watch Spark, Spark is a cool thirteen-year-old teenage monkey who lives with his friends Chunk the pig, a fox called Vix on an abandoned planet. Zhong took control of the planet Bana which wiped out Spark’s family and forced Spark and his friends into hiding, but Zhong has another cunning plan which will destroy the universe. Spark takes it upon himself to leave the planet he calls home and journey across the universe and defeat the evil emperor and save the galaxy. 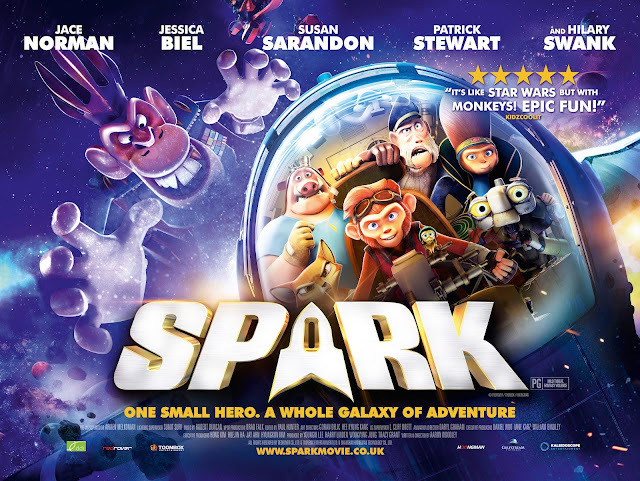 Spark features the voices of Patrick Stewart (X-Men, Star Trek: The Next Generation) Jessica Biel (Family Guy, Planet 51) Academy Award Winners, Susan Sarandon (Cloud Atlas, Thelma & Louise) and Hilary Swank (P.S, I Love You, Million Dollar Baby), animals assemble in this intergalactic adventure that kid will go ape for. 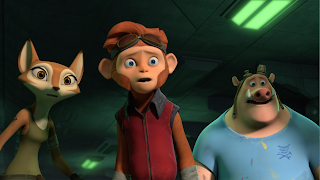 Spark is a fun animated movie, perfect for the whole family. Available to watch is all good cinemas on the 26th May. 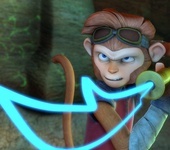 For more information check out www.sparkmovie.co.uk.